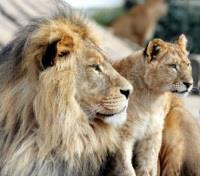 Seek out the Big 5 during game drives in Masai Mara. 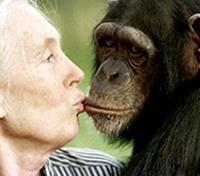 Visit the chimps at Sweetwaters Chimpanzee Sanctuary. Choose to embark on the Crescent Island boat tour. 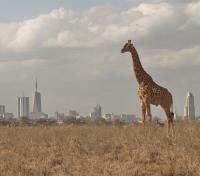 Witness Africa's legendary circle of life on this safari through the best parks of Kenya. Spot elephants, lions, giraffes & leopards while staying at traditional safari camps & lodges. Take a picturesque drive through idyllic Kenya and head for Laikipia, where you can track rare game and visit the Sweetwaters Chimpanzee Sanctuary, the only place in Kenya this extraordinary species can be seen. In the Great Rift Valley, visit pristine Lake Naivasha and boat across to Crescent Island to get up close with some portly hippos and incredible birdlife. Cross into Masai Mara for the best game viewing in the entire world. Explore open grassy plains and watering holes for lions, rhinos, leopards, cheetahs, and elephants. 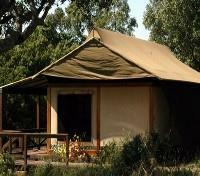 In the evenings, relax in charming tented camps and lodges. Watch the sun set over the plains and the stars come to life. Upon arrival to Nairobi, a welcome package including travel documents and a map will be provided to you. Enjoy a private transfer between your hotel and the airport in Nairobi. While in our care, your safety and security are our number one priority. As such, in the unlikely event of serious illness or injury, all guests are provided with a “Flying Doctors” insurance policy. This emergency evacuation insurance covers the cost of the evacuation flight back to Nairobi for treatment, however, does not cover the cost of any medical treatment received. We highly recommend travel insurance for full coverage. 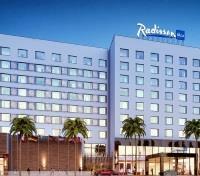 Enjoy upscale comfort near Nairobi National Park at the stylish Radisson Blu Hotel in the Upper Hill area of Nairobi. Each of the hotel’s 271 rooms and suites come complete with complimentary high-speed Wi-Fi and a minibar, along with lovely city or park views. The nutritious Super Breakfast includes excellent hot and cold drinks, fresh baked goods, cereals, an egg and pancake station and much more. 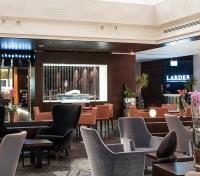 Dine on international classics and Kenyan dishes all day in the Larder restaurant, or savor an African-inspired meal beside the open kitchen at the elegant Chop House. You can also enjoy food and glass of wine at the Alfresco Pool Bar & Grill, then stop by the sophisticated cigar lounge. Stay in shape on your Nairobi trip at the hotels state-of-the art gym or enjoy a relaxing treatment in the spa. Finally, the scenic swimming pool lets you bask in the warm African sun or cool off with a refreshing dip. 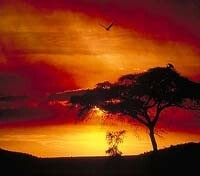 This morning you'll meet up with your guide and head off to Laikipia. The drive from the urban center of Nairobi, through the fertile highlands, the semi-arid frontier of Kenya is breath-taking and great way to see the countryside. The drive will be about three hours. Enjoy afternoon game viewing in and around the Laikipia region. 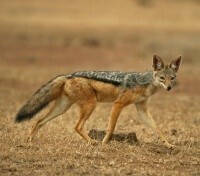 The area has more endangered mammals within its borders than any other area in East Africa. Half of Kenya's black rhino resides here, along with other endangered and northern species: Northern white rhino, Somali ostrich, gerenuk, reticulated giraffe and silver backed jackal. Just imagine what you'll see! A sheltered oasis, clustered around a water hole and set in the pristine calm of the private Ol Pejeta Conservancy, Sweetwaters Serena Tented Camp offers a charming blend of under-canvas ambiance and safari luxury. Located on the plains of Mount Kenya, the camp features luxury tents, each with their own private veranda overlooking the water hole. 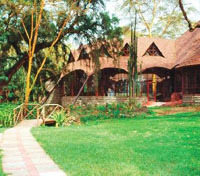 The central Rhino Restaurant is housed in the former manager's house of this once colonial farm, and offers both regional and international cuisine. Also within the house is the Kashoggi Bar and lounge, which centers on a blazing log fire. The Waterhole Bar, built in the style of a game-viewing hide, overlooks the waterhole and offers unrivaled wildlife viewing. 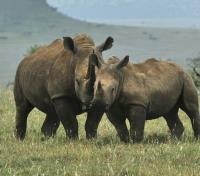 Enjoy a game drive in world-renowned Ol Pejeta. The conservancy is host to all members of the African "Big 5" (elephant, rhino, lion, buffalo and leopard), along with a wide range of rare species including the African wild dog, oryx, serval, Jackson’s hartebeest and Grevy’s zebra. Famously, Ol Pejeta is one of only eight sanctuaries in Africa will more than 100 black rhino’s, so spotting these critically endangered animals is also possible while exploring the region; have your camera ready! Today you have the option of visiting the Sweetwaters Chimpanzee Sanctuary; the only place in Kenya where these highly endangered and remarkably intelligent primates can be seen. The Sweetwaters Chimpanzee Sanctuary opened in 1993 in a negotiated agreement between the Ol Pejeta Conservancy, the Kenya Wildlife Service (KWS) and the Jane Goodall Institute. Here the animals are carefully nursed back to health and integrated into families. The chimpanzees live in two large groups separated by the Ewaso Nyiro River. Watch them romp and play, visit the local shop, or even sponsor a chimp! Please Note: Visitors to the Ol Pejeta Conservancy have free access to the Sweetwaters Chimpanzee Sanctuary, which is open daily from 9:00am to 10:30am and 3pm to 4:30pm. 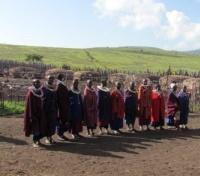 Your guide will drive you from your lodge in the Ol Pejeta Conservancy to Lake Naivasha, through the rift valley. This drive will take about five hours. 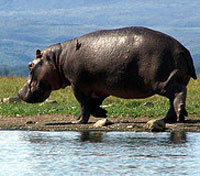 Prepare for an exciting and unique excursion to the Crescent Island Wildlife Sanctuary while in the Lake Naivasha area. Admire the scenery as you take a short boat trip from the mainland to this dynamic location where you’ll have the opportunity to get in some wildlife viewing at a very relaxed pace. As there is little to no threat from some of the “Big 5” predators, the various species of wildlife, birdlife and flora live quite freely here, providing visitors with some great photo opportunities. 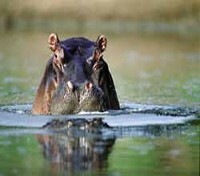 Some of the many mammals that can be seen here include zebras, impalas, buffaloes, giraffes, and hippos. 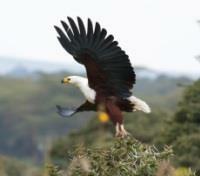 Resident bird species include herons, black cranes, lily trotters, ospreys and fish eagles. 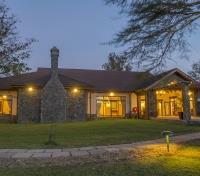 Situated on the southern shores of Naivasha, the largest freshwater lake in the Great Rift Valley, is where Sopa Lodge Naivasha has made its home. Let this dazzling resort of cottages prepare you for mouth-dropping silence. Feast on the succulent meats and preparations of the hotel’s talented chefs. Allow your eyes to indulge in the scenery and wildlife that draws so many to visit this hotel, built for open views of nature’s activities at their most untouched. Make sure to wander around the compound where you will be enchanted by the fine architecture, cathedral ceilings, and grand windows. Stroll around the gardens, and take a swim. You will find it is hard to leave this heavenly escape. Your guide will drive you from Naivasha to Masai Mara. This drive will take approximately five to six hours. Drive times may be longer in the rainy season (April to early May and November). 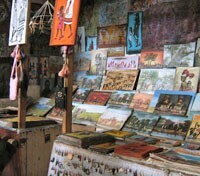 Stop for refreshments and souvenir shopping at roadside stands along the way or head straight to the park. 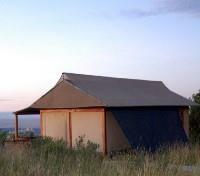 Enjoy game viewing as you enter Masai Mara and drive to your camp. Head out this afternoon on an exciting game viewing adventure. The locations visited will be determined by your expert guide as they have an intimate understanding of the daily routines of animals and how best to track them. 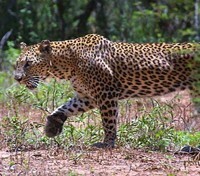 On this afternoon excursion, visit several wildlife hot-spots with an aim to espy elusive animals such as the leopard. These spotted cats blend almost seamlessly into the tall grass and shrubbery, and are even more challenging to spot when in their favorite hangout, the trees. Exploring the region, your guide will take you to nearby watering holes where on a hot day you’ll spot many birds and mammals, including, with luck, the elusive leopard. After a thrilling afternoon game drive, you will be returned to your lodge in time to freshen up for a delicious safari dinner. Just like the wildlife, your day’s adventure will begin bright and early this morning. Alongside an experienced tracker-guide, set out for the day’s first game drive and discover the dazzling bio-diversity of the Masai Mara Game Reserve. The most recognized animals are known worldwide as the African Big 5, and this group includes the African elephant, Cape buffalo, rhinoceros, leopard, and the king of the beasts, the lion. The term “Big 5” was first coined by big-game hunters as a way to acknowledge that these species were the most difficult and dangerous to track and hunt, however, in subsequent years the term has been adopted and re-purposed by the tourism industry and painted in patently positive light, focusing now on the preservation and protection of these magnificent creatures. Numerous other species of bird and wildlife also inhabit this dynamic region, including hyenas, gazelles, impalas, giraffes, zebras, vultures, cranes, eagles, falcons, and ostriches, many of which you’ll spot on this morning drive through the Masai Mara Game Reserve. On today’s afternoon game drive, the choice is up to you! 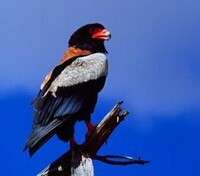 Search for the Big 5 or expand your horizons to discover some of the regions lesser known animals. The Masai Mara not only has a rich mix of mammals both large and small, but is also host to an incredible array of birdlife that includes approximately 450 different species, from the fierce bateleur (or short tailed eagle) to the musical sooty chat. 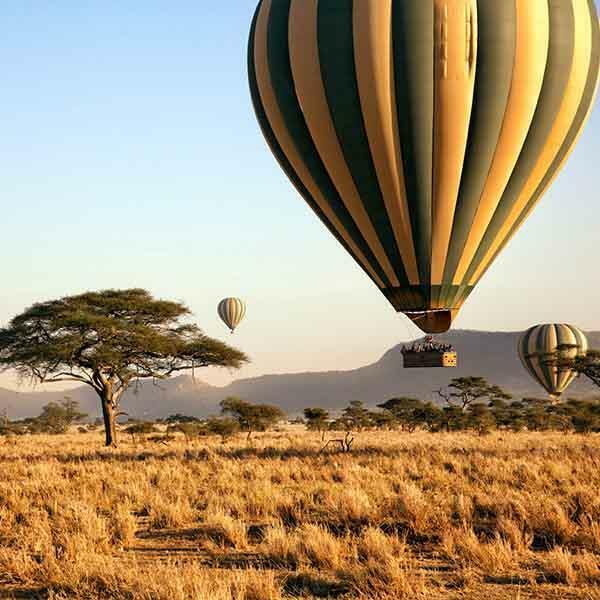 The famed Masai Mara Game Reserve was named after the indigenous inhabitants of this land, the Masai, and the provider of life to the area, the Mara River. Game viewing is almost guaranteed at some point along the Mara River, and your experienced tracker-guide will know all the best spots to explore to maximize your chances of seeing some of the many animals that call this land their home. Be sure to have your camera handy as amazing photo opportunities will present themselves; elephants on the riverbanks and hippos in shallow waters are common sights in this area. 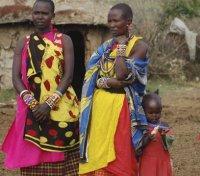 Today you will visit a local Masai village, or Boma. See the day-to-day lifestyle of the Masai first hand by visiting a functioning Boma, an authentic residence of local Masai who welcome clients of Mara West into their home. 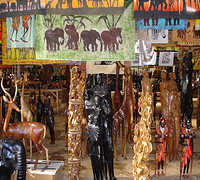 No visit to Kenya is complete without this truly unique cultural experience. Your guide will drive you from Masai Mara to Nairobi, with short stops for refreshments and souvenirs along the way. Be aware that during this commute you will drive across some unfinished, bumpy patches of road. This drive will take approximately six hours. Please note that the first half of this drive will be on paved roads and the last half will be rough & bumpy roads. The opportunity to explore the local markets and shops presents itself today as so you can interact with the local vendors in search for the perfect handicraft or souvenir for yourself or your loved ones.